We are the Champions of WordPress! Transform Your WordPress Site Today! Search Berg is proud to employ some of the best minds in Wordpress SEO. With a decade’s worth of experience in the industry, we can help your WordPress site reach new heights in digital marketing by putting it on the first page of Google for your target keywords. Over the years, we have helped hundreds of WordPress customers improve their website’s online visibility and gain the edge over the competition. Offering a 100% money back guarantee, we give you nothing short of the best! We are confident in our skills and promise you rankings in less than 30 days. That’s right! If we don’t rank your website in 30 days, we will refund you your money, no questions asked. Wordpress SEO For Your Project That Delivers All the time, Every Time! 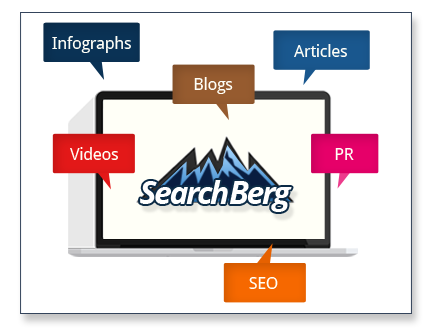 Search Berg is a complete search engine optimization services and web solutions provider in the United States. Is your WordPress website really generating the results it should be? Is traffic flocking to your website as it should? Are you seeing a higher number of sales after creating a website for your business? If the answer to these questions is a no, your website needs SEO right away! We are an award winning agency. In 2017 we won the Site Jabber Customer Choice award. In mid-2018, we were ranked in the top 10 web agencies in New York. We completed our 15,000th SEO project and cemented our place as a leading SEO services provider in the US. With a 100% money back guarantee and no contractual obligations, we help our clients feel at ease with the results we deliver. Fully customizable according to your specific industry, our SEO packages include on-page and off-page SEO, link building, content creation, infographics, reputation management, keyword optimization and more.